When the initial Star Wars trilogy (1977 to 1983) concluded in predictable fashion, the forces of light blazing their path through those evil unfortunates of the Galactic Empire, George Lucas might have packed up the show and left cinema and television to deal with its legacy. That was not to be. It had proven so successful that that most hideous of creations – the stalking, lamentably pedantic prequel – came into being. And not in the singular either. From 1999 to 2005, audiences were treated to a tired array of animations, effects and impoverished script writing in the course of three films. Simpletons seem to reign in supreme, unquestioned majesty, the cardboard Jedi order not as bright as it ought to be (so much for being in touch with the Force); the confused Anakin Skywalker soon-to-become Lord Darth Vader showing demonstrable shallowness with an aborted personality; and ultimately, the Sith Lord running his conspiracies in full view of an ignorant Galactic federation and mindless Senate. 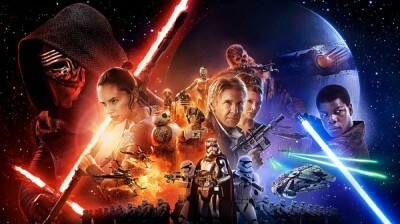 The title “The Force Awakens” suggests a slumber, or at the very least some hibernation. It was a point that jarred Lucas. “They wanted to do a retro movie. I don’t like that.” By his own admission, having him on the project would have been unsettling. Disney’s intention here is not entirely clear, though it may well seek, in time, to create a pseudo-Marvel series, or at least something where characters can be repositioned in endless fashion across the space opera format. The problem with such an approach is that context is less consequential to character. Extracted from the chronological sequence and affected stereotypes such characters command, and one is left with a very different story. The retro packaging of The Force Awakens has worked its magic on commentators, showing how mythological guff moves the steeliest of minds (and hearts). There are childlike throwbacks – we are returning, suggest some reviewers, to the old themes and tributes. This is the hook that JJ Abrams has deployed, and it seems to have worked. Robbie Collin, writing in The Telegraph, assured fans to “fear not” – “JJ Abrams has made the sequel of your dreams.” Collin writes of how Mark Hamill, who plays Luke Skywalker, “has been sorely missed.” Hamill, for the record, continues to be missed for most of the film. Peter Bradshaw of The Guardian writes of how The Force Awakens “re-awoke my love of the first movie and turned my inner fanboy into my outer fanboy.” Gushingly, Bradshaw would claim that Han Solo and Chewie’s appearance propelled him to a range of feelings between tears and applause. The Force Awakens makes its own modest assumptions. Power is always in search of itself and representatives who wish to tap into its promise. The defeated Empire after The Return of the Jedi leaves a vacuum which nature abhors with dedication, and duly fills it with the First Order. The film continues the bland fusion of sham Buddhism and Manichaeism, a sort of space gnosis. The First Order has various Palpatine-tendencies, though it is given a decent Third Reich makeover, kitted out with the full Nuremberg effect. (Hitler-like hysteria is injected into one of the addresses.) Kylo Ren (Adam Driver) keeps Darkness, ever inclined to wear something resembling an oven, in the front row as another Lord of malevolent aspirations. He suffers from his own super-ego tendencies, ever keen to impress the First Order’s supreme leader, Snoke (Andy Serkis). This Abrams effort continues the family dysfunction and tendency to amputation that commenced in 1977. That is all in the nature of having vengeful children who go wobbly after a time. And in the fitting manner of the entire Lucas series, the child, or pupil, tends to come back with gritty, and lethal determination, usually armed with a lightsaber.